The greatest stories of the Old Testament are brought to the screen with astounding scope and power in the international film which depicts the first 22 chapters of Genesis. This is the spectacular story of man's creation, his fall, his survival and his indomitable faith in the future. Matching the epic scale of the production are performances by George C. Scott as Abraham, Ava Garnder as Sarah, and Peter O'Toole as the haunting presence of the Angel of God. 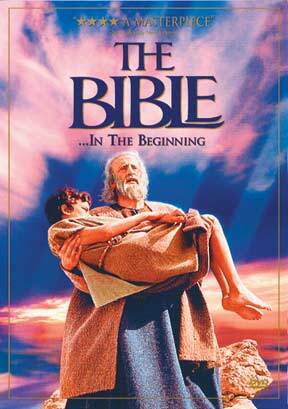 The legendary John Huston directs and delivers a commanding performance as Noah. From the film's opening amidst cosmic chaos, to its lingering message of hope and salvation, The Bible stands as a monumental motion picture achievement.